New Orleans (3-0) finished a three-game sweep of its Urban Youth Invitational games on opening weekend, routing Prairie View 14-0 on Sunday afternoon at Maestri Field. Leading the Privateer offensive charge were four-year senior Sam Capielano and JUCO transfer Dakota Phillips, who each homered. 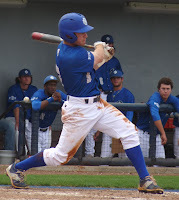 Hezekiah Randolph, Tristan Clarke, Orynn Veillon, and Owen Magee also contributed two hits each to UNO's 18-hit onslaught. On the mound, Bryan Warzek got the start and pitched six shutout innings to collect his first win of the 2017 season.